Clear your calendar. And, carve out some time just for you. After all, we all deserve time to just relax and to have fun. Nothing says relaxation than a day of waterfalls and wine. This day trip to some of the best wineries and waterfalls near Pittsburgh promises plenty of picture-perfect moments. 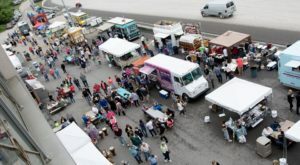 Click here for the road map for this day trip. Then, off we go! 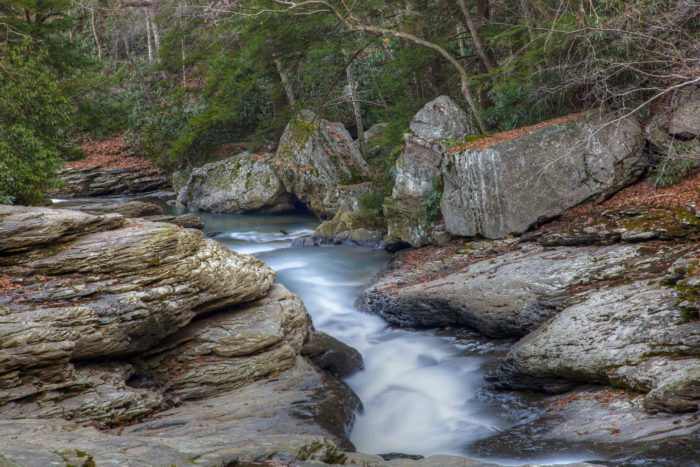 Ohiopyle State Park boasts an array of natural wonders, including waterfalls and a natural water slide. Can you think of a better place to start a day trip? 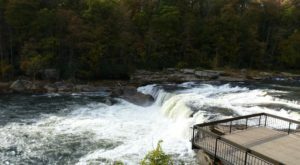 Kick off your visit to Ohiopyle State Park at Cucumber Falls. Good news, too. All you have to do is walk a few steps from the parking lot to drink in sensational views of the falls from above. Then, if you want to see the falls from the base, just walk down the staircase. 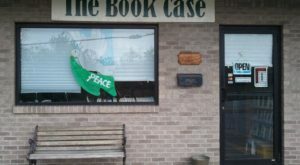 Then, drive less than a mile to the Ohiopyle State Park Visitors Center. Admire Ohiopyle Falls from inside the center. Or, head to one of the nearby viewing platforms that will let you hear (and almost feel) the gush of the waterfall. 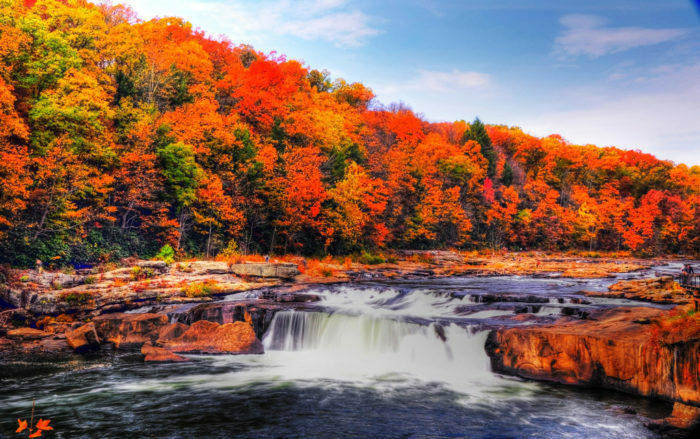 Definitely visit the falls in each season for different yet equally breathtaking views. 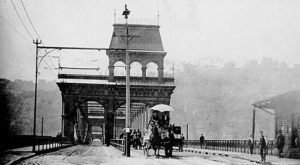 Taking your day trip on a scorching summer day? Of course, you can cool off by standing behind Cucumber Falls and feeling its mist on your skin. 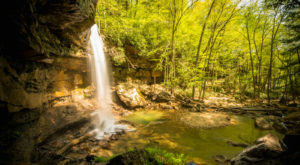 Or, slip on your swimsuit and take a ride down Meadow Run Natural Waterslide, along the Meadow Run Trail in Ohiopyle State Park. 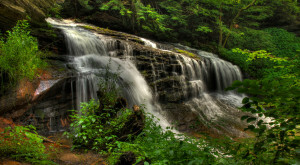 (If you want to, you can hike Meadow Run Trail, which also includes Cucumber Falls and Ohiopyle Falls.) Be forewarned, however, that you might suffer from some bumps and bruises on the waterslide. Next, let's stop at a waterfall that has a house built over it. 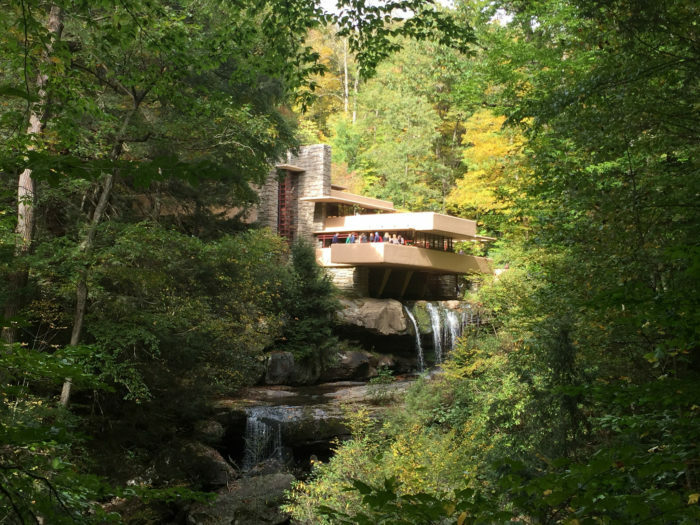 Yep, Fallingwater's just about two miles from Ohiopyle State Park. Make reservations ahead of time for a tour of the famous home designed by Frank Lloyd Wright. 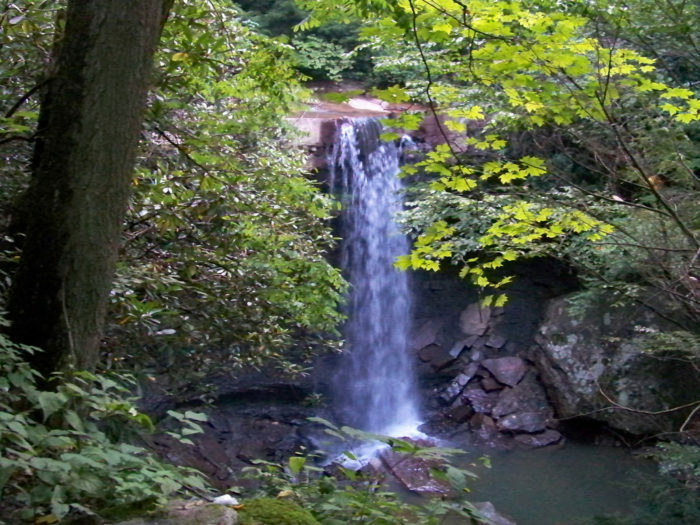 Or, simply take a hike around the outdoor grounds, where you can still enjoy spectacular views of the waterfall. We've seen some spectacular waterfalls. Now, it's time to indulge in a little wine tasting. So, off to Greendance Winery we go. 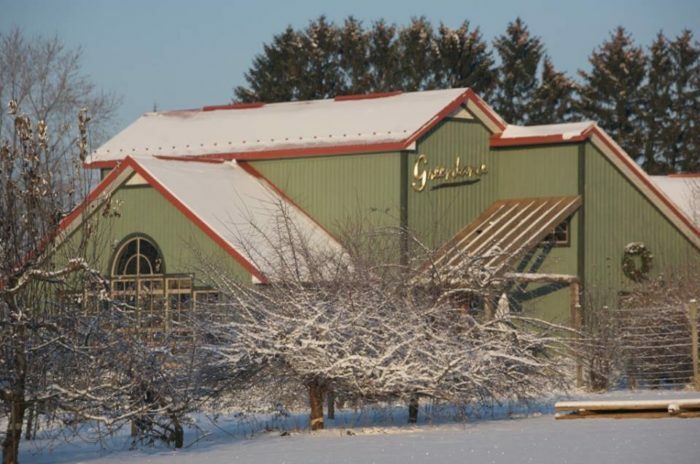 The winery sells wines made from the fruits and vegetables grown at its "sister farm." Enjoy a glass of wine. Or, have a meal at its onsite restaurant, The Cabin. Next stop: Stone Villa Wine Cellars. 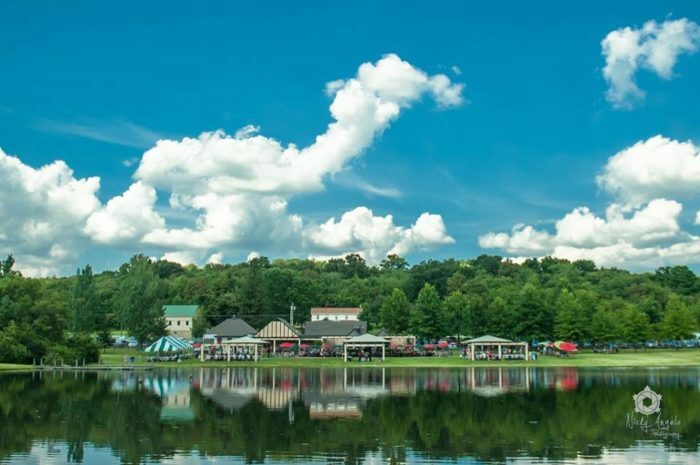 The 150-acre winery sits in the foothills of the lush Laurel Highlands and is the picture-perfect spot for a picnic. 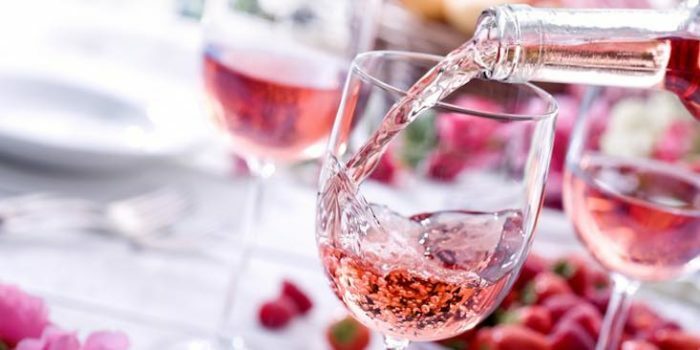 Choose from one of more than 20 different wines. 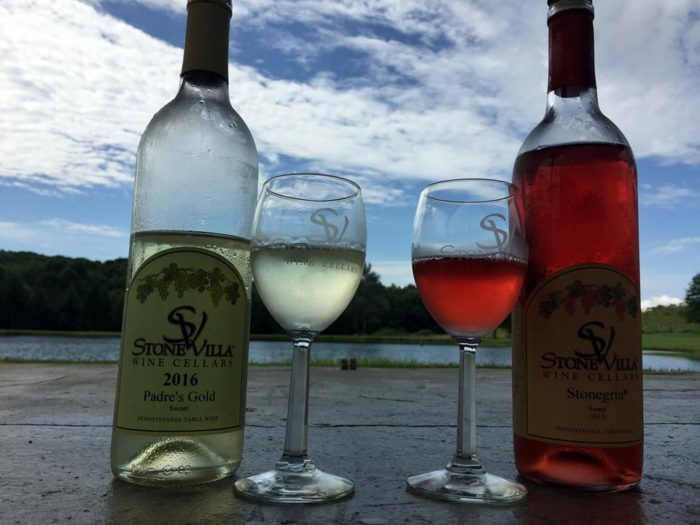 Stone Villa Wine Cellars also features live entertainment (on select dates) and hosts events throughout the year. Tired yet? Maybe. 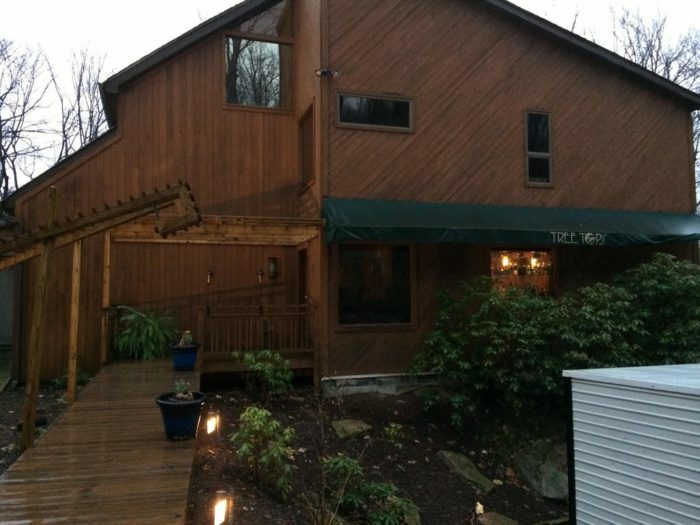 But, you'll definitely want to end your amazing day at Tree Tops Restaurant. Nestled among the trees, the enchanting restaurant sits near Polymath Park, near another Frank Lloyd Wright design (Duncan House). In fact, you can tour the Duncan House before dining at Tree Tops, if you want. Tree Tops Restaurant serves lunch and dinner, featuring a seasonal menu. 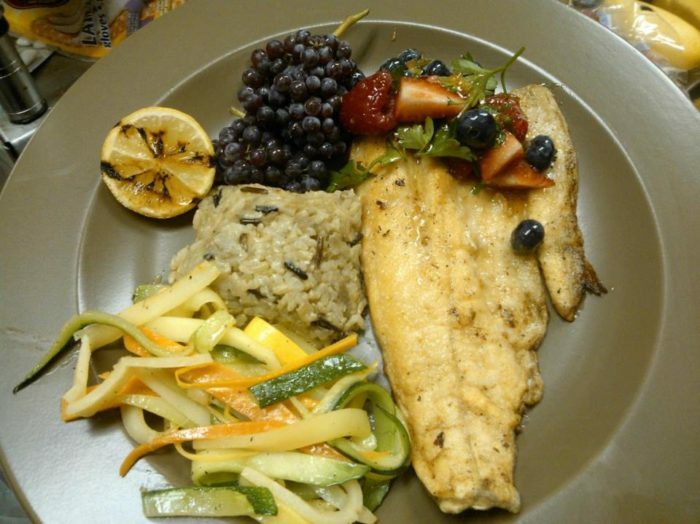 Click here to read more about Tree Tops Restaurant. 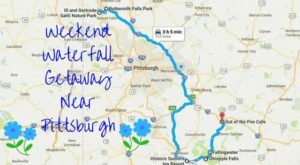 So, who’s planning this day trip to some of the best wineries and waterfalls near Pittsburgh? Or, perhaps you’re up for a several days-long road trip to all of the area’s best waterfalls? Click here to read more.